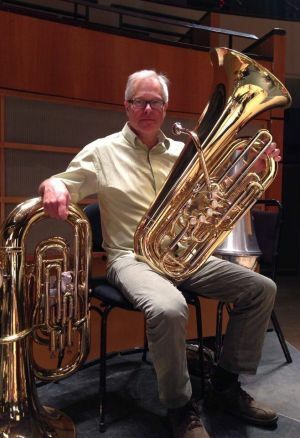 Originally from North Vancouver, Scott Whetham joined the Edmonton Symphony Orchestra as Principal Tuba in 1984. Ensembles with which he has performed include the Vancouver Symphony Orchestra, Vancouver Opera & Ballet orchestras, the National Symphony Orchestra of Peru, the National Ballet of Canada, the Calgary Philharmonic and the RCA Band. Scott has appeared as soloist with the ESO, performing the concertos of John Williams and Vaughan Williams. Since moving to Alberta in the 1980's, Scott has taught hundreds of students! From weekly private lessons to summer music camps, school workshops and university music departments. Positions have included the University of Alberta, MusiCamrose (now MusiCamp Alberta), the University of Regina and the Banff International Festival of Youth Orchestras. 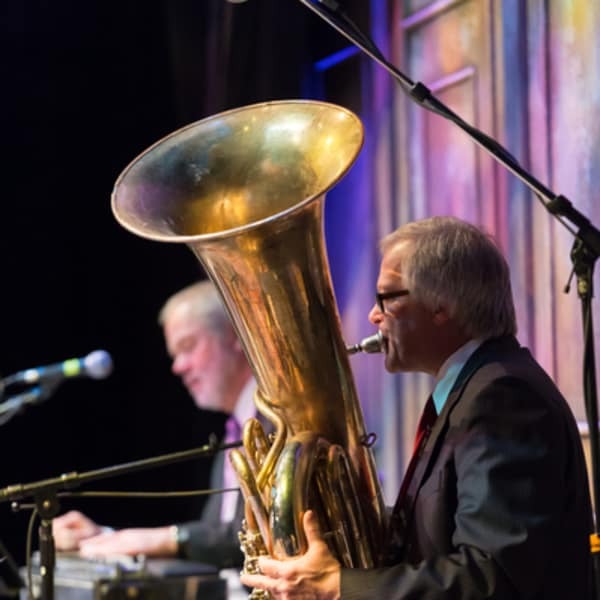 In the 1980's, he formed the "Tubas of Edmonton", an informal Christmas ensemble who perform in the Jubilee Auditorium and Winspear Centre foyers prior to ESO performances. Scott has been featured in broadcasts on the CBC as both performer and composer. His Nonet for Brass-after Emily Carr premiered at the International Women's Brass Conference in Toronto, and he was performer/composer at ITEC 2000. Scott travels periodically to the UK to play in brass bands - a fascinating tradition. In Edmonton he also performs with the Tarragon Tea Orchestra (a European style salon orchestra) and Bass Line Road (a modern music ensemble). He enjoys the biking (carless) lifestyle.